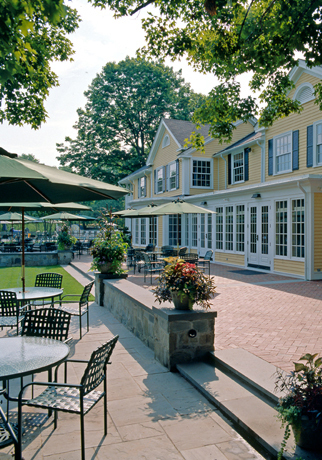 Established in 1893, Agawam Hunt is the oldest country club in Rhode Island. Since that time the original converted farmhouse has evolved into a clapboard-clad picturesque accumulation of additions in the domestic vernacular manner. 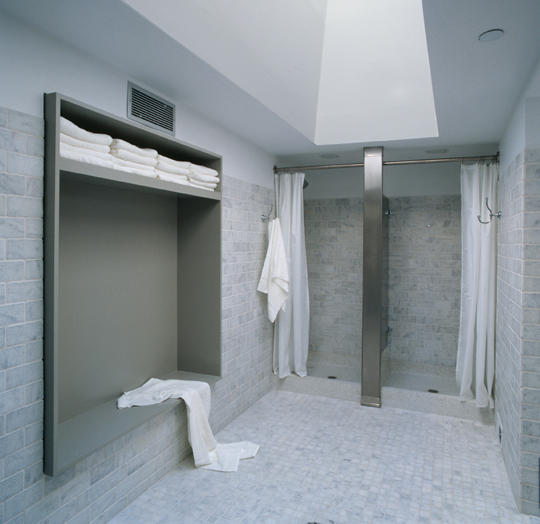 In 2003, Agawam Hunt engaged KITE to address several building and fire code deficiencies, make the building more physically accessible, perform a complete modernization of the kitchen, and correct decades of damage caused by deferred maintenance. Together, all of these threatened the building’s viability. 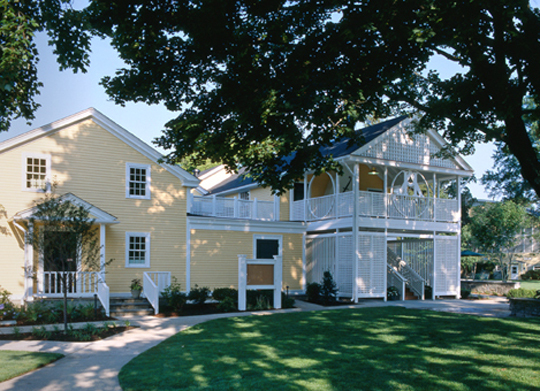 The challenge with the renovations and additions to the clubhouse was to balance all of the modern needs and code requirements with the goal of preserving this important piece of Rhode Island history. 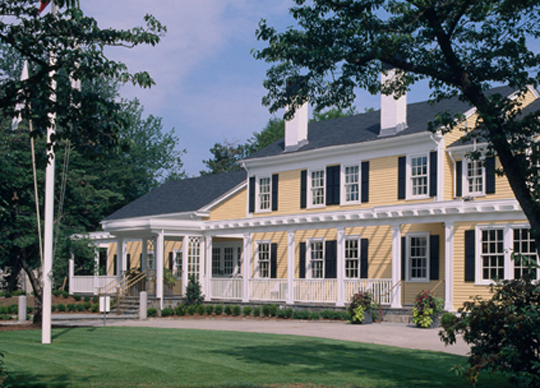 Working closely with Agawam Hunt, several subtle renovations were developed that allowed the club to solve each of the issues while respecting its history and maintaining the character that the members had come to cherish. A new stair tower, a series of terraced patios, and an interior corridor were created to address the exiting needs while maintaining the appearance of the clubís natural evolution. 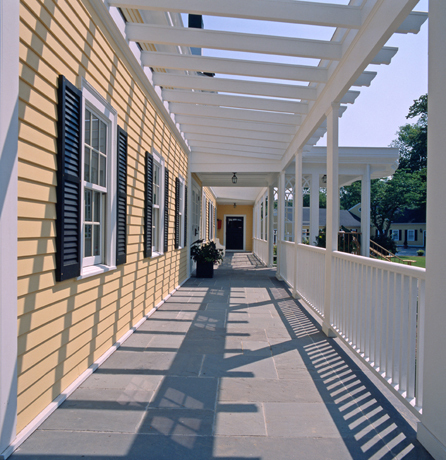 New landscape elements have been used to integrate the ADA-compliant building approach and the addition as well as enhance the grounds. Working with the interior designer, new finishes have been installed that refresh the interiors. Structural, mechanical, and electrical improvements have been made to ensure that the club will be enjoyed by generations to come.